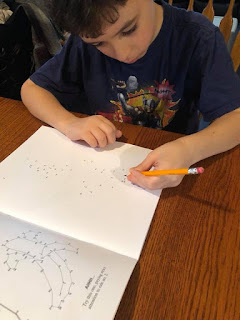 A RUP LIFE: The Greatest-Dot-to-Dot Books Review & Giveaway! 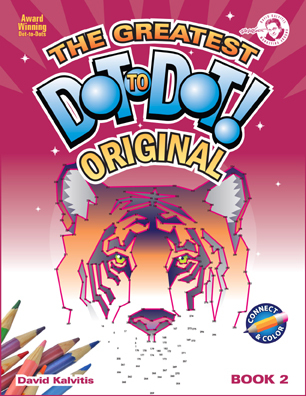 The Greatest-Dot-to-Dot Books Review & Giveaway! 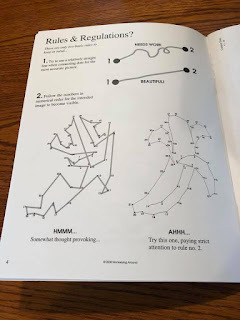 We were recently sent a set of The Greatest-Dot-to-Dot Books. 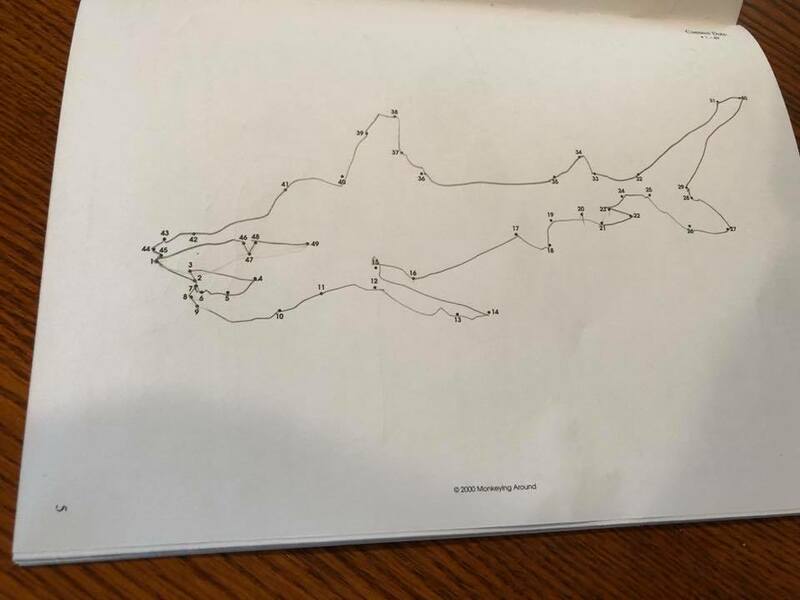 These are a step up from the puzzles you did in your school books because you are not just connecting 1-20. The idea is that you connect the dots in a smooth fashion then after revealing the picture you can take colored pencils and color in the picture. The books are for ages 8-109 so basically all ages will enjoy working on these books. My middle son is almost eight and when he saw me looking through these books he was very excited. I wasn't sure if he would be able to do them because his fine motor skills are not great but I found that this was a wonderful activity for him to practice those skills. He had no problem with the counting and was able to connect each dot almost flawlessly. 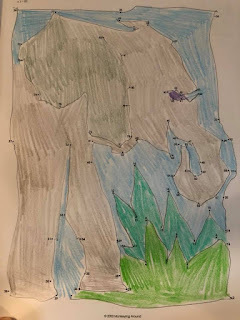 He has asked to work on these daily since that first time and I love it as a beginning to our homeschool day! As homeschoolers we are often looking for ways to incorporate learning in fun ways. We play games, sing and watch exciting shows. Having hands on projects seems to be my third son's favorite way to learn. He is only in second grade and our curriculum would have him count to 100 daily as practice. 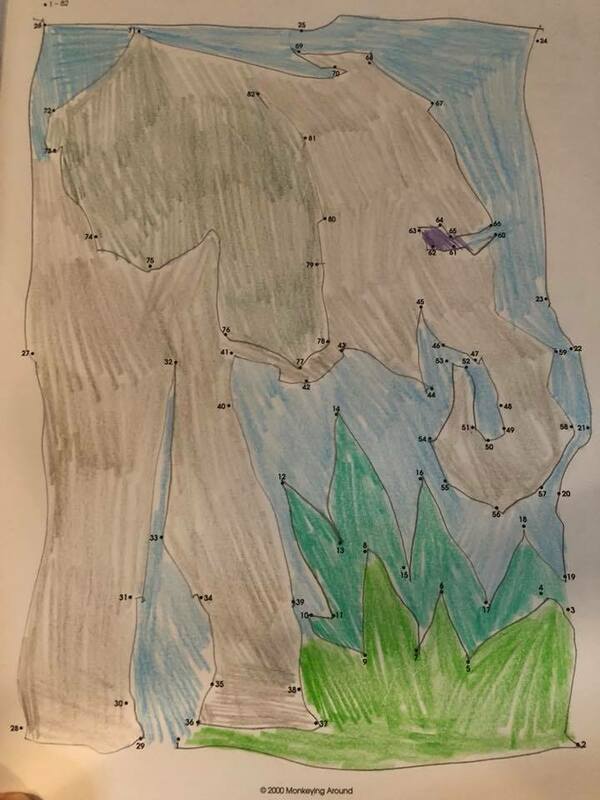 Adding The Greatest-Dot-to-Dot Books is an easy way for us to achieve that task without the tedious chanting of the numbers (which he already knows well.) Each puzzle ranges in length from 15 to 470 dots so no two puzzles are the same. Getting to the end and discovering what you've been working towards is the best part! Sometimes it isn't as obvious as your working. I really like this series of books, they very easy to add to our day and I've been using them as a warm up to school time. The paper weight of the books is pretty sturdy so coloring them in is easy. There are five different series offered. Truly a set for everyone! The Greatest-Dot-to-Dot Books has generously offered a discount code to A Rup Life readers. Use the code: DTD30ARL to receive 30% off any books in their DOTSTORE. 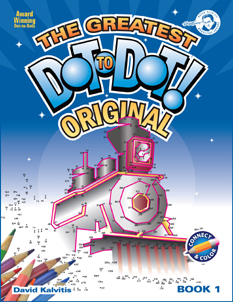 One lucky reader will win a set of Greatest Dot-to-Dot Original Book 1, 2, 3, and 4 autographed by author David Kalvitis!